We’re taking a break in 2019 hope to be back in 2020. Slightly Nomadic at Albourne Estate is kid-free (18 years + only) selected summer weekends camping (June – Sept) with tents and breakfast provided so you can travel light. Or you can bring you own tents. 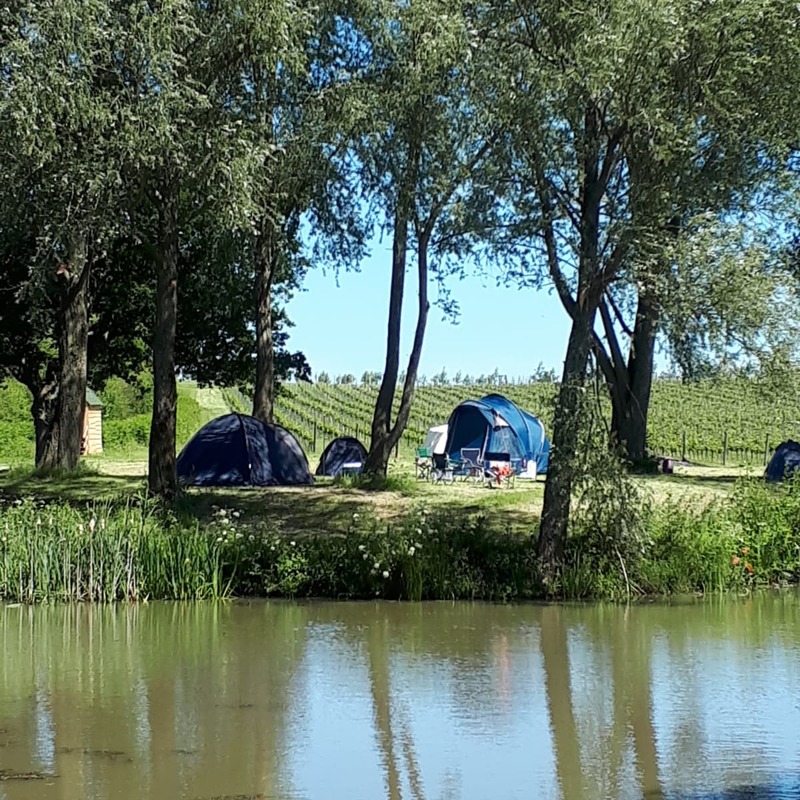 It’s authentic, off grid camping in a beautiful location – looking out onto a lake and the South Downs National Park surrounded by vines. Inspired by homestays and a super helpful hostel in Santiago we offer a friendly, relaxed campsite with 4 pre-pitched tents and 6 pitches for couples, solo campers and groups who love the outdoors, discovering new places and sharing experiences. If you need a location for an informal get- together you could book the entire site. If booking the pre-pitched tents just bring a sleeping bag, torch and a few essentials. We provide all the gear, breakfast and even ingredients for an evening meal (or it’s 45 mins walk across the fields for food at the pub). Our hub tent with tables and benches, walking routes and maps offers a communal space to chat, drink tea and eat cake! Leave London, Brighton, or Chichester straight from work on Friday and enjoy being off grid, in the great outdoors, with Slightly Nomadic in the early evening. For more information and bookings, click here.